During the past couple of years, we have witnessed several instances of blatant infringement of the rule of law in European Union member states. Some of these cases involved fraud and corruption, causing damage to the EU and by extension the European taxpayers. Fraud and corruption cases, as well as allegations related to mismanagement of public and EU funds, already affects half a dozen of the member states. For instance, there is the Czech Republic, whose Prime Minister Andrej Babiš is under criminal investigation regarding how his company Agrofert received EU funds. EU funds are also at the heart of an investigation into some dodgy dealings allegedly undertaken by family and friends of the Hungarian Prime Minister Viktor Orbán. In Malta, Bulgaria, Romania and Slovakia, allegations of political corruption have sparked mass demonstrations against governments and politicians. Poland is also on the list due to the ruling party’s controversial judicial reform which the opposition considers discriminatory and undemocratic. These cases of corruption and breaches of rule of law in all these EU countries have been widely discussed by the European Parliament. However, the major problem the EU faces with these countries is that national courts protect the trespassers since local political elites play a role in clearing all ‘irregularities.’ In fact, the national courts usually don’t find any evidence of criminal behaviour in most of the cases they hear. Another problem is that unprincipled alliances are formed by the governments of the countries breaching the rule of law in order to block decisions against them. One example is the declared mutual support between the governments of Poland and Hungary – the only aim is to discredit the EU and protect the interests of the two ruling elites. To address this problem, the Plenary Session of the European Parliament endorsed a draft law on January 17 that puts the governments interfering with courts or failing to tackle fraud and corruption at risk of losing EU funding. According to the draft law, the European Commission would be tasked with establishing “generalised deficiencies as regards the rule of law”. What is more, the Commission will decide on measures that could include suspending EU budget payments or reducing pre-financing. The decision would only be implemented once approved by the European Parliament and the European Council. When the rule of law is under threat? According to the European Parliament’s vote, rule of law is under threat when one or more of the following are undermined: proper functioning of the authorities of the member state implementing the EU budget; proper functioning of the authorities carrying out financial control; proper investigation of fraud – including tax fraud -, corruption or other breaches affecting the implementation of the EU budget; effective judicial review by independent courts; recovery of funds unduly paid; preventing and penalising tax evasion and tax competition; cooperation with the European Anti-Fraud Office and, if applicable, the European Public Prosecutor’s Office. Independent experts in constitutional law and financial matters will assist the Commission. They will be joined by one expert appointed by the national parliament of each member state and five named by the European Parliament. The new body will assess the situation in all member states on a yearly basis and make a public summary of its findings. Once the member state remedies the deficits identified by the EU Commission, Parliament and EU ministers could unlock the funds. What is important to note is that when the Commission submits a proposal the Parliament and to the Council, the first will act by majority of votes cast, and the second by qualified majority in amending or rejecting it. This means no single member state can veto a decision. PS: The Plenary endorsed the rules by 397 votes to 158, with 69 abstentions. 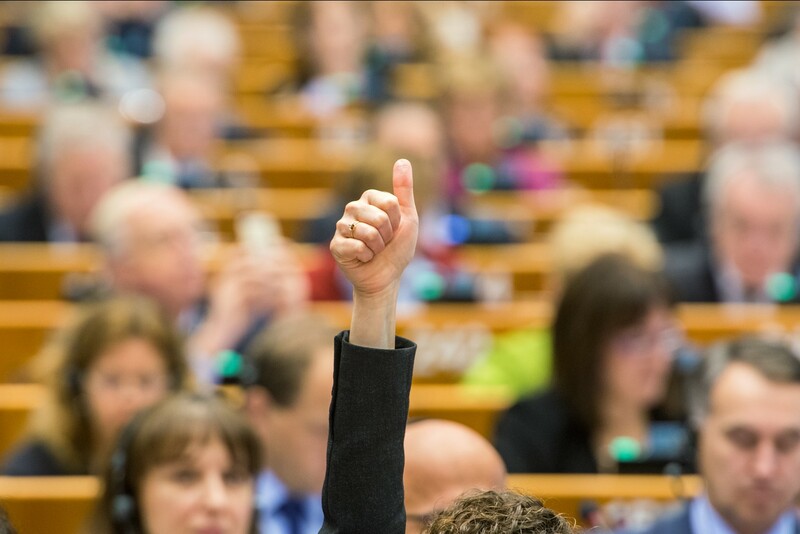 MEPs are now ready to enter negotiations on the final wording of the regulation with the EU ministers, who have not adopted their position yet.